Turtle Lake Golf Colony Turtle Lake Condos: Prestigious location and close to everything! Spacious 2 bedroom, 2 bath second floor condo with common elevator and a view of the golf course. Unit has an assigned parking space and storage unit. Tile and laminate flooring throughout. Blinds and fans included. Golf membership is available but not mandatory so there is only fees if you are a member. Lots of amenities to enjoy; Heated community pool, clubhouse, social rooms, billiards, bocce court, shuffle boards, tennis courts, etc. Low HOA fees include water/sewer and cable. Great investment property, 1st time buyers or winter get-away home. Turtle Lake Golf Colony Turtle Lake Condos: Enjoy gorgeous golf course views without paying the golf fees. Walk to grocery and restaurants. Drive to the beach and the famous Waterside Shops and Artis Naples in less than 5 min, or to Mercato and downtown in less than 10 minutes. Live in the golf course and only pay if you play. Golf membership to Quail Run is available but not mandatory and the fees are among the lowest ones in town. Amenities include among others community pool, bocce ball, shuffle board, tennis courts, billiards, clubhouse and social rooms. A-rated school district. This makes a great full time residence or winter gate-way. Unit has a great rental history. Turtle Lake Golf Colony Turtle Lake Condos: Recently updated condo in the heart of Naples in a resort style community that's rich in amenities. Enjoy gorgeous golf course views from the balcony. Walk to grocery and restaurants. Drive to the beach and the famous Waterside Shops and Artis Naples in less than 5 min, or to Mercato and downtown in less than 10 minutes. Live in the golf course and only pay if you play. Golf membership to Quail Run is available but not mandatory and the fees are among the lowest ones in town. Kitchen has top of the line cabinets, appliances and flooring. Granite counter top and natural stone backslash in the kitchen. Off of the whole-way you will find cabinets matching with the kitchen exactly where the rest of the units have a closet. Other that the flooring which is all upgraded recently with wood floor and tile flooring, the unit has new baseboard and crown molding throughout. Amenities include among others community pool, bocce ball, shuffle board, tennis courts, billiards, clubhouse and social rooms. A-rated school district. This makes a great full time residence or winter gate-way. Could be a great vacation rental too if you buy it furnished. Turtle Lake Golf Colony Turtle Lake Condos: WOW! What a GORGEOUS VIEW...WIDE LAKE, GOLF COURSE, AND DUCKS AT PLAY! LOCATION AND BEST VALUE! Enjoy PARADISE in this Beautifully remodeled 2 bedroom, 2 bath condo granite countertops, nice carpet, tile, and much more. Walk, drive or bike 2.4 miles to Clam Pass Park and the white sugar sand Gulf beach, and all of the nearby great shopping and dining. 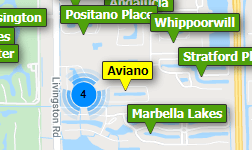 Easy access to all of Naples. PRICED to SELL NOW! Turtle Lake Golf Colony offers its owners resort amenities including Clubhouse, pool, tennis, bocce, pickleball, billiards, exercise room, tons of open space for walking and biking, and so much more. Low condo fees. Common Elevator, Laundry Facility and Storage Closets on each floor. Optional Non-Equity Golf and Social Memberships available at Quail Run Private Golf Club. A wonderful community for full time, seasonal or vacation residents. Turtle Lake Golf Colony Turtle Lake Condos: ABSOLUTELY STUNNING!!! WON'T LAST LONG!! Fully furnished second floor end unit, quartz countertops, wood cabinets, stainless steel appliances, wood and tile flooring, crown moldings, impact glass, hurricane shutters, and more... schedule a showing today you will not be disappointed!!!! Need professional assistance selling your property at Turtle Lake Naples? Find out how an Area Specialist can help to generate more property exposure in order to get the most money for your investment in the least amount of time.